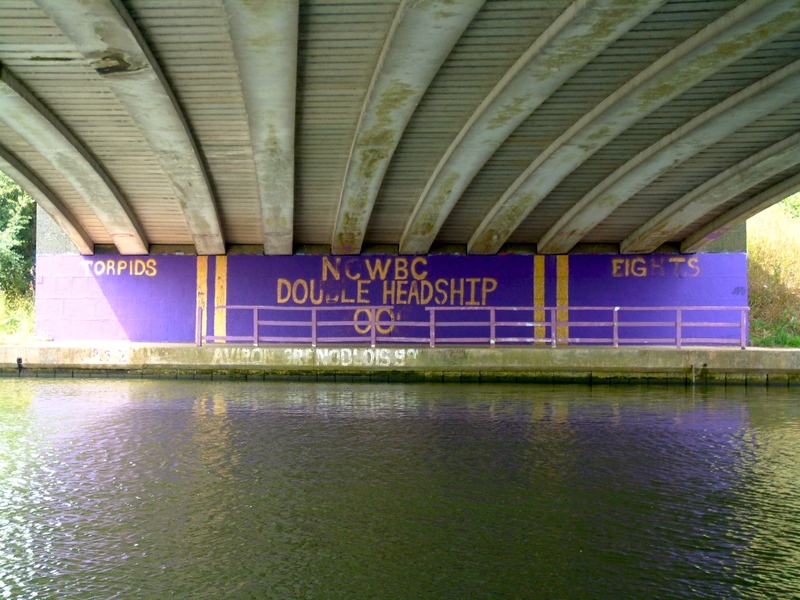 Oxford’s Donnington Bridge had a witty voice. 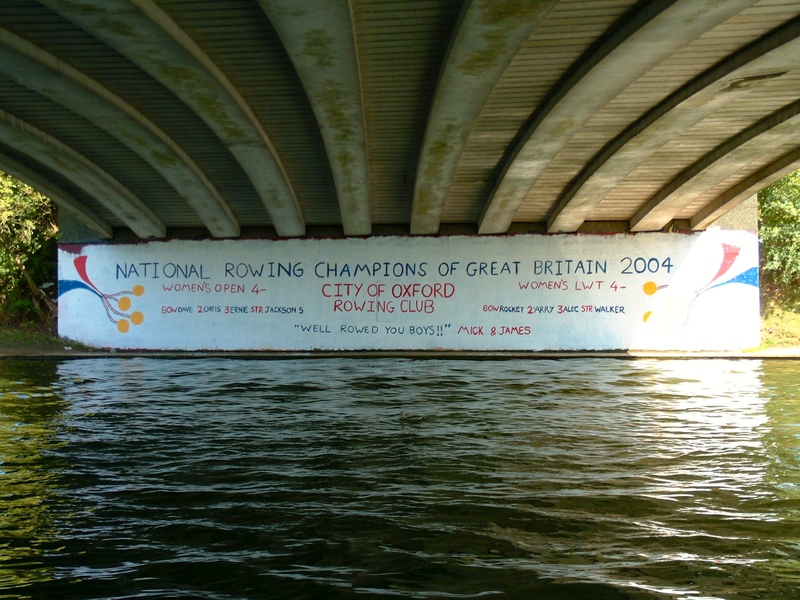 As the university’s boat clubs fought for supremacy, they’d paint its arches, often with sharp references to popular culture and, as one college obliterated a rival’s efforts, a satirical dig might be thrown in too. This microculture, this clandestine war of words, waged with brushes in the dark, felt romantic, exciting and life-affirmingly trivial. However, after years of uninterrupted painting, the bridge fell silent and, when it found its voice, it had broken. The bridge had grown up. It spoke of Iraq, Afghanistan and of the torture in Abu Ghraib. 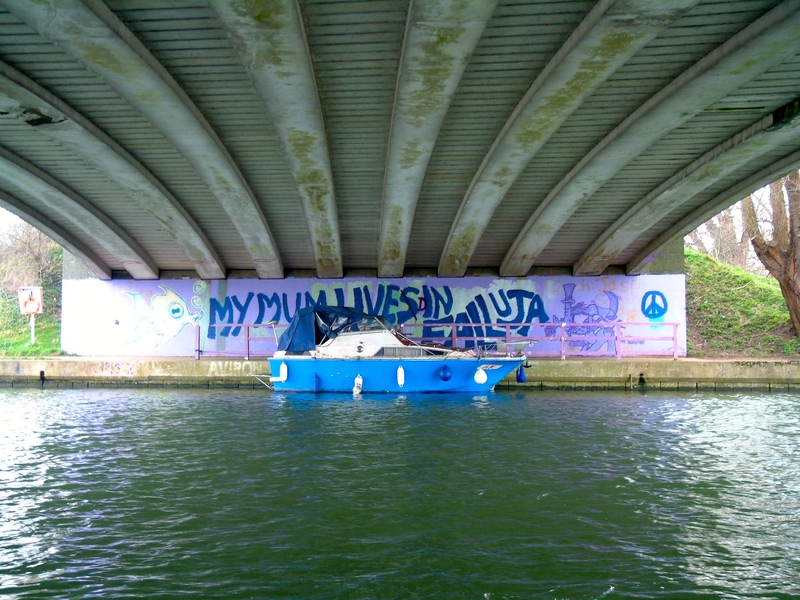 Then, in 2012, with the drowning of Hussain Mohammed the ebb and flow of paint along the side of the bridge became fixed in time. 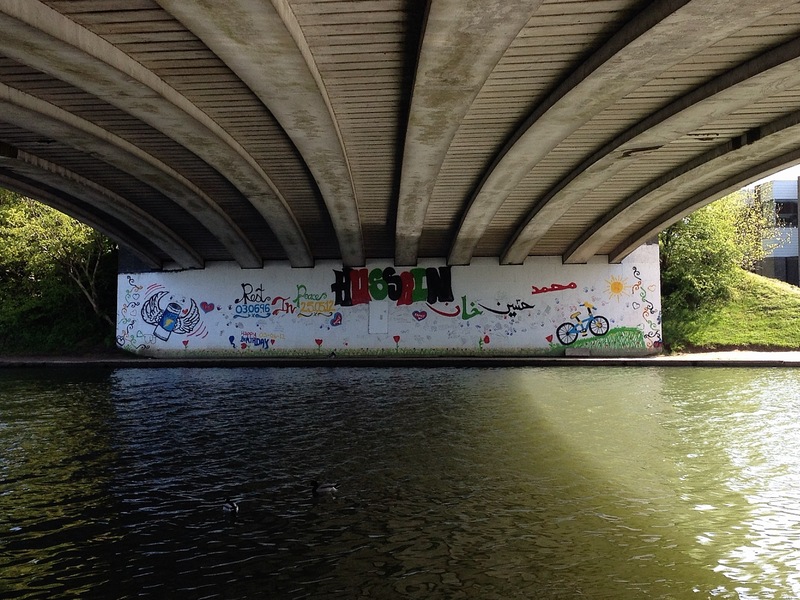 Walk beneath it today, and you’ll see the tribute to Hussain untouched, untagged. 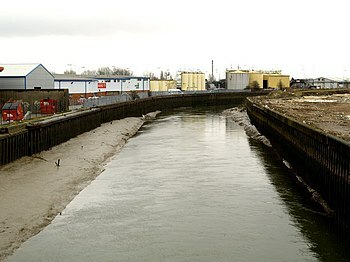 Flood Drain is Tom Chivers’ meditation on the river Hull and opens by charting the river’s course: ‘At Foredyke Clough the Stream narrows / & is named Wawne Drain, / Wawne Drain drains into the Hull at Roe Bank. / Hull drains into Humber. / Humber into sea. / This we know. / All of this we know.’ As the poem presents a bird’s eye view of the watercourse, Chivers achieves a sense of momentum as the lines concatenate (Wawne hands onto Wawne, Hull onto Hull): masculine verse for an urban watercourse. Chivers then changes the tone, riffing on William Langland‘s Piers Ploughman. The Medieval dream-vision, MLK and Chivers’ own vision of the Hull collide with beauty and humour: ‘I had a drain / I had a flood drain / in a somer seson / the day after St Jude’s day // I shoop me into shroudes / a pair of fingerless black gloves / from Poundland, Prospect St.’ This Hull is no less sublime than Langland’s bucolic Malvern hills and, as Langland’s speaker dresses ‘In habite as an hermite,’ so Chivers’ river also dons a disguise: ‘a drain or a dyke / being a river in the clothing / of a straight edge,’ straitened and managed but still a river, still untameable, whether channeled through storm drains beneath residential streets, or flowing in plain sight. Chivers’ Flood Drain speaks in many voices: some are beautiful, some are demotic and, pulled together, they achieve a confluence, like the Humber and the Hull, like the past and the present. This poem is the rumbling of Hull’s preparations to become UK City of Culture 2017, which will give the city plenty of time to know and love this poem. It is a gift to the city and I hope that it capitalizes upon this resource in its schools and public places in 2017 and beyond.